Ebola outbreak update: As of today, 24th July 2014, we have 108 cumulative number of survivors, 435 confirmed Ebola cases and 146 Ebola confirmed deaths. 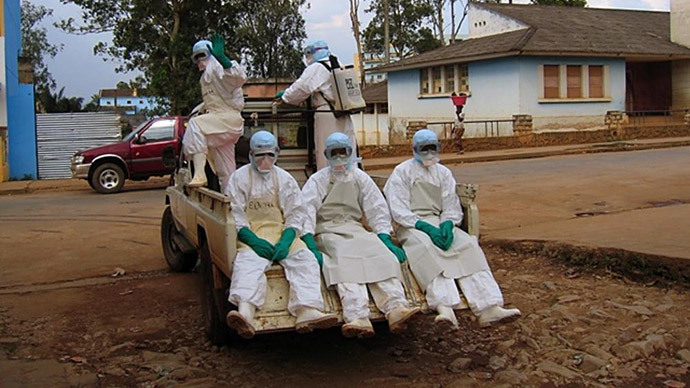 65 patients are currently admitted at the Ebola treatment centers in Kenema and Kailahun. The Ministry of Health & Sanitization and the World Health Organization have established a dedicated Ebola Emergency Operations Center (EOC) at the WHO Country Office in Freetown. The EOC is co-Directed by the Minister of Health, Ms. Miata Kargbo and the WHO Representative for Sierra Leone, Dr. Jacob Mufunda and consists of leaders and partners involved in our fight against Ebola. The EOC wishes the general public and all partners working in the healthcare sector to know that Dr. Sheikh Umar Khan is still alive and responding to treatment contrary to social media report of his demise. According to the above update by Mr. Side Tunis on Thursday, 24th July 2014, only 34% (146) of the total number (435) Ebola confirmed cases have died while 25% (108) have survived and discharged. This seemed to be a miracle because the figures are in sharp contrast to findings by medical researchers from diverse laboratories in the western world, who believed that Ebola usually kill 90% of it patients. This is not the first Ebola outbreak in the world. It had happened in Congo Zaire (now Democratic Republic of Congo), Uganda, South Sudan, Philippines etc. and the fatality rate was always high as reported by medical researchers. This leads me to the question whether we are really suffering from Ebola or another hemorrhagic virus? While the Ministry of Health and Sanitation and Ministry of Information continue to suppress facts and figures about Ebola, it’s ironical to see the government resort to recruiting 168 people as Ebola Burial Team at district level. This simply corroborates claims by many compatriots in social medias and phone calls to their relatives abroad that Ebola is spreading across the country like a harmattan fire in the desert, isn’t it? If the virus was really under control as constantly claimed by the government, why preparing to bury bodies? The truth is, regardless continues prayers, financial donations and interventions of aid agencies, the killer disease is still claiming more lives, mostly unreported.